Classic elegance. Epic party. 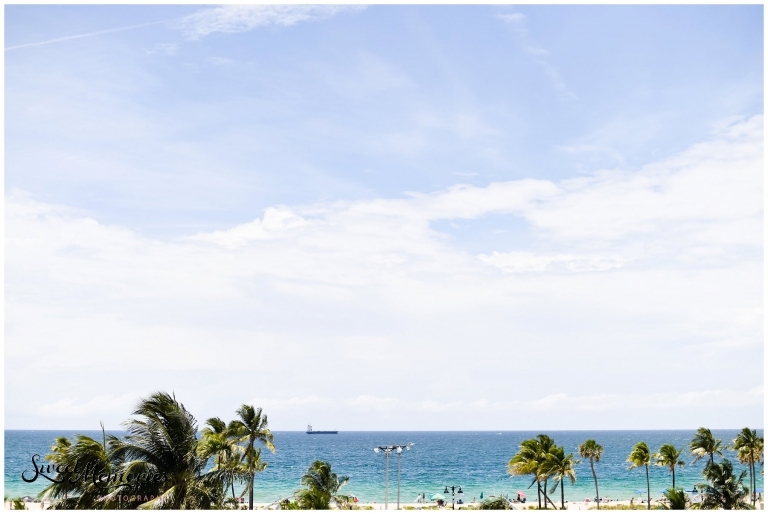 These words best describe K+A’s Fort Lauderdale Wedding at St. Sebastian and Bahia Mar. The day started with a traditional Catholic ceremony. K+A said “I do” in front of their closest friends and family, surrounded by bridesmaids wearing champagne, groomsmen wearing classic tuxedos, and timeless white bouquets and boutonnieres. A romantic and touching ceremony. But not without some good laughs! For instance, the bridal party walked down the aisle before the priest was ready for them, although they were cued to do so. Everyone had a good laugh, and with smiles, they returned down the aisle to walk down the aisle once again at the appropriate time. (the perfect opportunity to get photos of the bridal party… twice!). The whole night was filled with amazing songs (that Bay Kings Band know how to get a party started … and keep it going all night! ), lots of dancing, dipping, and performing. Yes, performing. The groom got his band of boys together and sang to his beautiful bride. I swear I couldn’t get Aerosmith’s “I don’t want to miss a thing” out of my head for weeks post-wedding! To end the night, all of the couple’s guests grabbed glow sticks and formed a human aisle. The bride and groom put on their attire yet again and, like the champions that they are, partied down the aisle and exited for the night. I mean, this wedding was the wedding of the year! It was beautiful, classy, elegant, and romantic. On the other hand, it was filled with upbeat songs, outgoing guests, a playful couple, and just an awesome party atmosphere! It was hard resisting the urge to put down my camera and join the fun! Congratulations to an amazing bride and groom. May this day be only one of MANY perfect days to come! Quite a dapper fellow, isn’t he? This Maggie Sottero gown is to die for and fits her so perfectly! Bahia Mar is such an amazing venue … from backdrops like the one above, making you feel like you’re in tropical paradise, to the one below, giving you a ‘beachy’ look. And we can’t forget the groom and his sister, whose bond is clearly a strong and close one! All the lovely little details that make this wedding so classy and elegant. And so the epic night begins with the grand entrance! While K+A cut the cake, the groom’s brother sang Frank Sinatra’s, “Love and Marriage.” This song brought me back to the days when I watched “Married with Children,” and made me giggle (oh, that Al Bundy)! Hubby serenaded his wife, with the help of his friends (aka his boy band). “I don’t want to miss a thing” was stuck in our heads for days after! And just like their entrance, K+A had to exit in style! What an ending to an epic night!